Welcome to the first Outdoor Arts newsletter of 2018. We hope you had a good festive period and that you're looking forward to the next twelve months. Alongside some interesting job opportunities (once again, congrats to Coventry), there's some enjoyable Outdoor Arts research to get involved with from ISAN Members James Macperhson and Verena Cornwall, info on the National Association of Street Artists annual gathering and applying for the Clore Leadership programme as well as listings for the year ahead. Please send in more events, projects and festivals for that list. We will soon start planning the 'ISAN On the Road' programme this year, where we visit various festivals around the country for small networking and information-sharing meetings, so please send in your suggestions of places for us to visit in 2018: [email protected]. Artizani's Artistic Director, James Macpherson, has spent much of 2017 working on Doctoral research. The subject of his PhD is contemporary UK Outdoor Arts with particular focus on their relationship with public space. 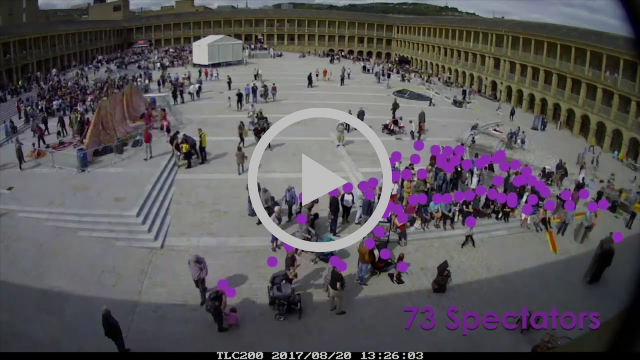 The main methodology James is using involves creating time-lapse videos of outdoor events and analysing the ways audiences, artists and public space relate to each-other over time. He hopes this analysis will be useful to both artists and producers as a means of measuring impact, a way to understand how audiences engage with specific performances and spaces and as a tool in promoting and advocating Outdoor Arts. James is available to carry out the documentation and analysis at events in 2018. If you would be interested in this or just want to be kept in the loop please take this short survey. If you were at the ISAN Conference in November you might have seen James' presentation on the research - see the video version below. Artizani has also set up a new Outdoor Arts Research website to place resources such as reading lists in the public domain and to keep you up to date with the process. Sustaining the core of what you do. Practical, processing and putting it all in play. Are you an exceptional arts and culture leader with the potential and desire to drive significant change? Are you passionate about building an innovative and resilient cultural sector? 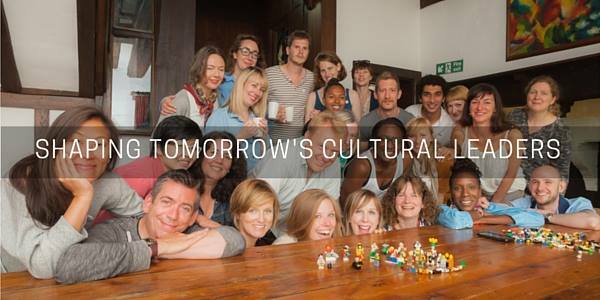 The Clore Fellowship is a unique programme of cultural leadership development that seeks to enrich and transform cultural practice and engagement. It brings together some of the most creative and dynamic cultural leaders in the UK and beyond for a life-changing adventure - it is a professional and personal learning experience unlike any other. The Fellowship will support you to be the leader you have the potential to be, through in-depth learning tailored to your individual needs, aspirations and circumstances. Give yourself the space and time to learn, reflect, and do. Clore Fellows focus primarily on their leadership development for seven months whilst staying connected to their workplace. You benefit from a diverse peer group, access to highly experienced leaders, thinkers, entrepreneurs, artists, experts and extensive networks. This is a learnt not a taught programme. It is action-orientated and practical. It is intellectually rigorous, intensive and challenging. It is self-guided so you'll need to be highly motivated and deeply curious. You'll extend your knowledge and understanding of the wider cultural sector through dialogue, inquiry, study visits, conferences and meetings, and increase your skills and leadership acumen through support from a mentor and a coach. You will participate in individual training as part of your unique development plan. As part of a PhD research process, Verena Cornwall is undertaking a census of circus (traditional and contemporary) and street arts (performance) artists to create a mapping of professional level performers presently working in Europe. The timing coincides with the 250th anniversary of circus. If you are a circus or street arts artist and would like to be included in the study, sign up to the census. You will be personally invited to participate in the study. This is the first time that a census of this breadth has been undertaken. The results will be shared with everyone who participates and with others including policy makers across Europe. 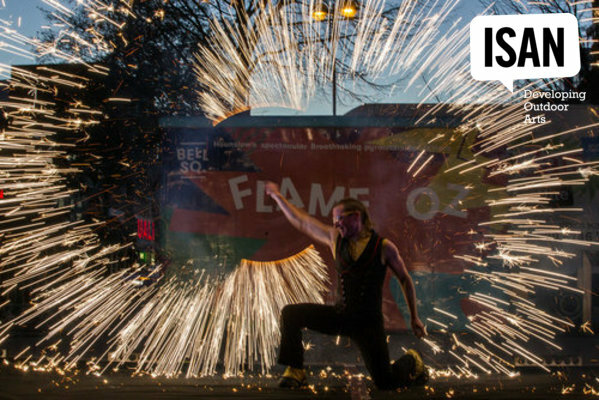 Join the ever-growing ISAN membership and you'll get the exclusive Member Bulletins, circulating comprehensive details of Outdoor Arts funding, commissions, call-outs and employment opportunities, news from members, useful resources... and sometimes a bit of gossip. If you're an ISAN Member, you qualify for REDUCED RATESDetails of how to access the discount are in the ISAN Members' Bulletin. This list includes festivals, events, performances and programmes which have some element of Outdoor Arts; it also includes conferences, meetings and professional development events, plus the occasional indoor or non-sector event which relates to artists or other parts of the Outdoor Arts sector. Copyright © 2018 Independent Street Arts Network, All rights reserved.